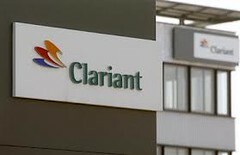 Swiss speciality chemicals company Clariant’s biggest pilot plant for cellulose ethanol from agricultural waste is now on stream. The EUR28 million plant is located in Straubing, Bavaria, and will produce up to 1,000 tonnes of cellulose ethanol from around 4,500 tonnes of wheat straw based on the sunliquid technology developed by Clariant. Studies show that Germany potentially has around 22 million tonnes of straw that could be used for energy production without compromising essential soil regeneration. This would be sufficient to cover around 25% of Germany’s current gasoline requirements. The plant is right next to the Donau harbour and will procure its raw materials largely from the Straubing region. The sunliquid process is an innovative biotechnological method that turns plant waste products such as grain straw and corn straw into second-generation cellulose ethanol. The firm has been developing the sunliquid technology since 2006 and has been testing the method on a pilot scale since 2009. In an area encompassing approximately 2,500 sq m, all the process steps will be performed that will later be used in an industrial-scale plant; the aim of which is to confirm the technological feasibility of the sunliquid technique. The results obtained in Straubing will enable the firm to plan industrial production plants.